Satellite clinic now open at St. Thomas University! 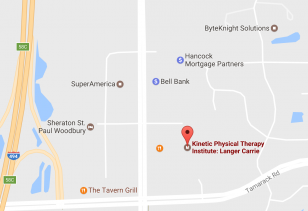 Kinetic Physical Therapy Institute is now working with St Thomas University to provide physical therapy services to the students and staff. Starting Tuesdays in Febuary, Karen Jiran MPT/PRC will be seeing patients at the Health Services on the St Paul Campus.